Advanced technology mold profile provides for a square tread footprint which means more tread-to-road contact. Advanced 5-rib asymmetric tread pattern design reduces irregular wear by allowing tires to be rotated from one side of the car to the other. The result is sustained tire performance with even wear, less noise and increased overall tread life. The asymmetric pattern also allows the outside of the tread pattern to be tuned for dry handling and traction while the inside is optimized for wet and light snow conditions. Four, wide circumferential grooves provide superior hydroplaning resistance. Nylon is strategically placed in a manner to resist flat spotting for improved ride quality and balanced, even treadwear for long life. The tread compound of the Starfire WR is infused with silica. 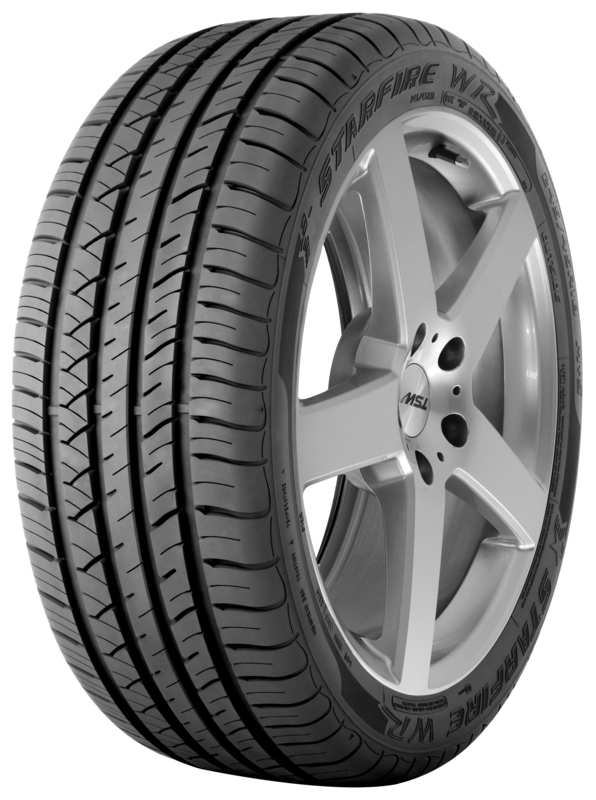 The silica, in conjunctions with the tread design features, leads to a better balance of all-weather performance.